Your taste is something to be admired when you wear the ML Monique Lhuillier™ Long Sleeve Embroidered Mesh Dress. Scalloped, jewel neck shift dress. Long sleeves with ribbon accent. 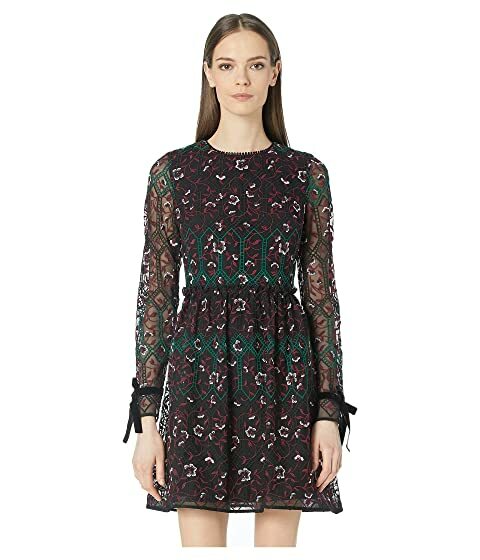 We can't currently find any similar items for the Long Sleeve Embroidered Mesh Dress by ML Monique Lhuillier. Sorry!